Yeow! This invention is going to be heaps of fun. You know what music is, right? Well, the noise we’re creating today is as far from that as you can get – it’s definitely not music. But we won’t spoil the surprise too much for you. This project will create a loud, annoying, high-pitched sound. We strongly advise the use of hearing protection (earmuffs or earplugs) when working in close proximity to this project. Do you know what’s definitely not music? What you’re about to build. In fact, it’s probably as far from music as you can get. It’s so annoying that we even had problems testing the program. It’s just that bad. 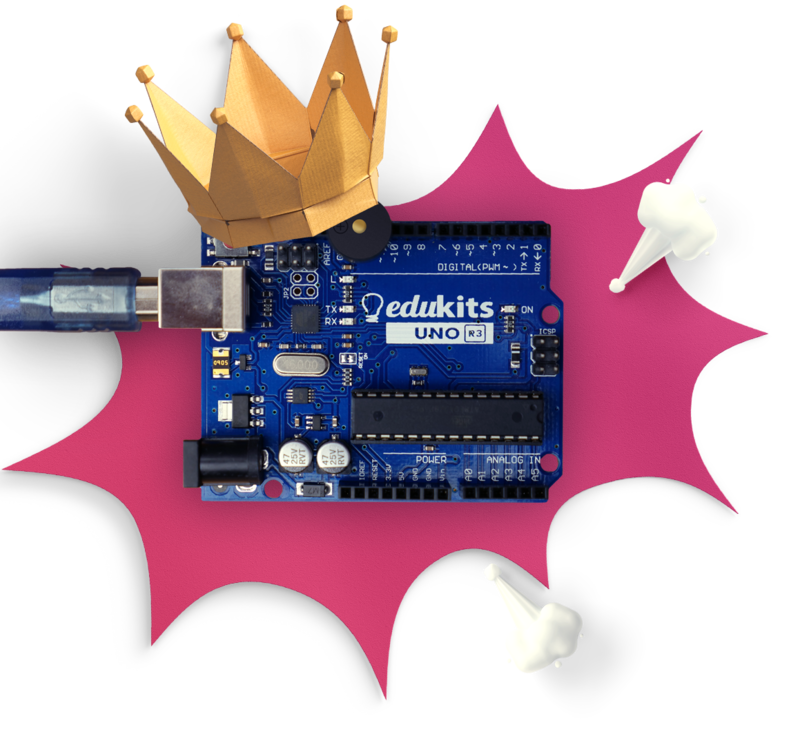 To wire up this project, you’ll need your UNO R3 boarding buzzer. 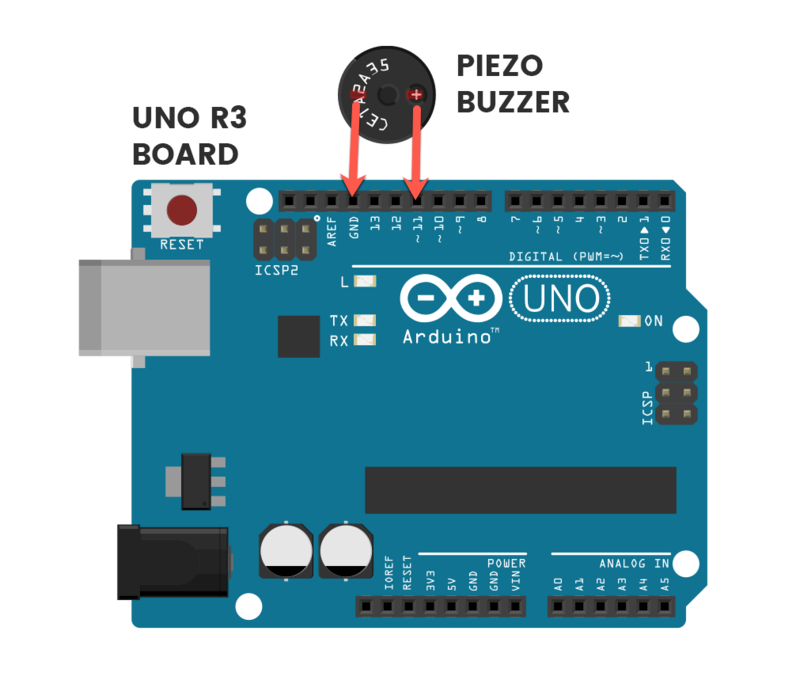 To connect your buzzer, slide its pins into the Arduino board as shown – the positive leg should go in PIN 11 and the negative leg should go in GND.